I love this famous quote. 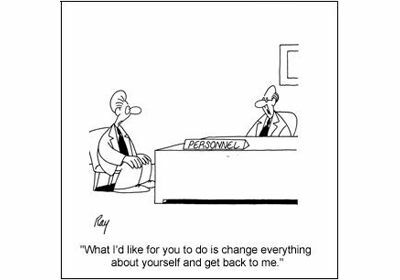 It’s a useful mindset particularly when our team are delivering change programmes in large organisations, and delving deeper into the nuances of how company culture affects the successful implementation of strategic change. We get hired to create change – and, all too often, an organisation’s management team can assume it’s just ‘one more thing’ to roll out regardless of whether it actually makes their life easier and more effective. And fair enough – most of us do! Either way, we believe, that the success of a new strategic plan is determined by the company’s prevailing culture above all else. It’s important to unpick the company culture first, and to face the truth of how likely any change will be received by employees. One of the best metrics in measuring the impact of culture on strategic change is the Change Formula as introduced by Beckhard and Harris. It’s a nifty little tool. The Formula states, in essence, that change will occur – on micro and macro levels – based on a whole set of criteria, which need to be greater in impact than the resistance to implementing the change in the first place. Complicated boring stuff? Not really – check out this link for a straightforward explanation. * How can you make the end vision more desirable for people? * How can you make them more dissatisfied, frustrated or unhappy with their current situation? * Is their capability high enough for the change, and can it be made higher? * What needs to happen to increase the current capacity and resources for change? These simple but sometimes awkward questions also lead to another sometimes uncomfortable truth – that is, it must be meaningful to every individual. I had a great example of this two weeks ago, when working with a Head of Business wanting to increase Colleague Engagement Scores (CES) across two large sites. There were already various corporate measures in place, such as Employee Forums, online questionnaires and employee information corners, but the Head of Business gleaned more information and made more positive impacts by doing one simple thing instead. Which by the way, was due to me increasing the heat by getting him to do this one simple thing that he avoided! He spent three minutes, three times a day pulling up a chair and talking to employees at their desks or stopping them in corridors for a chat. All of his senior team are now doing it. Guess what has happened to their CES scores!! They’ve seen the light. Really easy, really obvious, staring them in the face, yet they couldn’t see the wood for the trees. Basically, giving employees the ability to be heard remains a crucial building-block in developing trust in a team. Change then comes more freely and positively as a result. 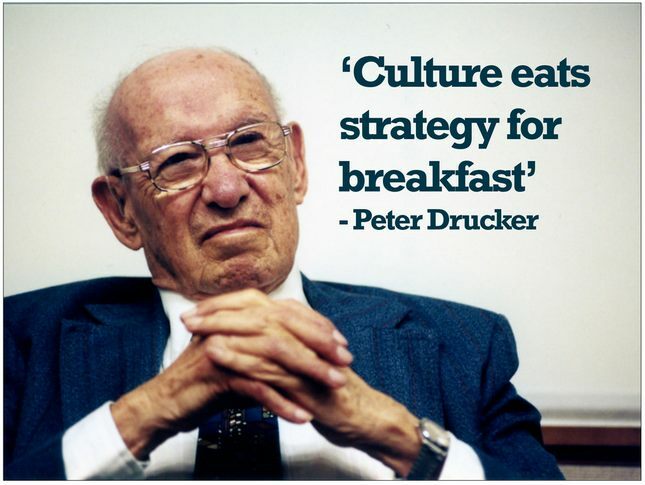 There are brilliant resources here and here covering the ‘culture vs. strategy’ debate. Please drop me a line or call with any others you’re using. Thanks.